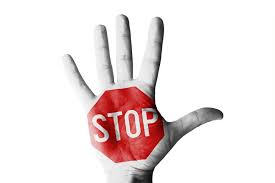 The Selling Of FCPA Enforcement Attorneys Needs To Stop! By Mike Koehler on October 23, 2014 in FCPA Inc.
For profit companies that host FCPA conferences are entitled to run their business as they see fit. However, when for profit companies use Foreign Corrupt Practices Act enforcement attorneys at the DOJ and SEC like commodities that are then marketed and sold to the public, this is where the line needs to be drawn. One e-mail I recently received attempted to entice me as follows. Another recent e-mail from the same company concerning a separate event stated “gain first-hand insights from US DOJ, SEC and the IRS on the priorities and approaches to building a successful case.” The more formal marketing material from the conference company profiled DOJ, SEC and IRS officials as “featured speakers” and described the enforcement officials’ panel as an “exclusive” session. Exclusive is right because the general public is not invited. Rather, to hear your public officials speak about an important law you will have to pony up (approximately $2,500 – $4,000 dollars depending on the package you choice and when you register). The selling of FCPA enforcement attorneys by private companies needs to stop. FCPA enforcement attorneys are public officials, not a commodity that a for-profit company should be allowed to sell. It is is bit ironic that these conferences focus on FCPA topics, yet are not the speaking slots a thing of value that the conference companies provide to public officials in an effort to obtain more business? Not a clear parallel to be sure, but an issue to nevertheless ponder. Why do the FCPA enforcement attorneys at the DOJ and SEC allow themselves to be used as pawns by for profit companies? After the FCPA Guidance is there really a need for the enforcement officials to hit the FCPA conference circuit as frequently as they do? These are serious questions that deserve more attention. On final point – conference participants are lead to believe by the conference firm marketing literature that they are going to hear unique insight into DOJ or SEC enforcement policy and procedures. The reality is the first words out of the mouth of the DOJ or SEC officials will usually be something to the effect that they are speaking in their individual capacity and that nothing they say represents official DOJ or SEC policy or binds the DOJ or SEC. For previous posts on the above (and to see how this practice has NOT stopped) see here and here. As Foreign Scrutiny Grows, Dollars Continue To Flow In The U.S.